I got this kit because I put an order in on Amazon for a cutting mat (I was using my wife's cutting mat she uses for sewing) and was a few bucks shy of free 1 day shipping. Well, maybe a little more than a few bucks shy. Anyway! Turns out it was a pretty good kit! 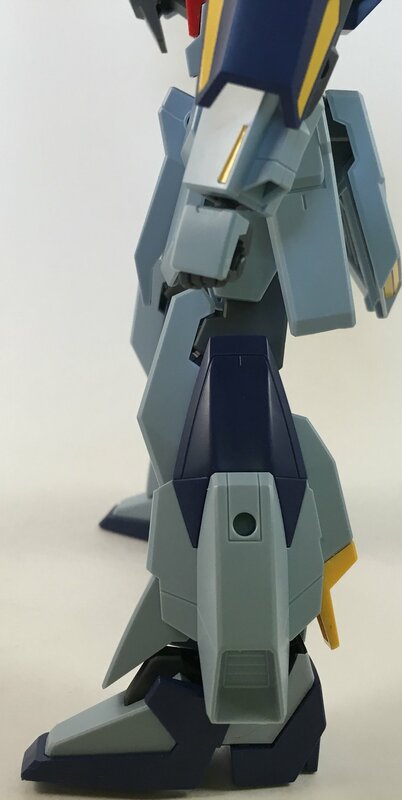 I don't like the color stickers around the ankles and on the rifle, and the holes all over it (on the front skirt armor, legs and shoulders) seem out of place but other than that I really like the overall shape, especially the legs. Not much else to say, so enjoy! All the yellow here are stickers, except at the back of the leg just above the ankle. Thanks for stopping by! Until next time, keep building!